Jewish teenager Anne Frank and her family went into hiding to flee Nazi persecution during World War II. "The Diary of Anne Frank," with her thoughts, wishes and experiences from that time has gone on to be read by millions. At the ceremony, Architect of the Capitol Stephen T. Ayers said: "I think it's fitting that we will plant a tree in Anne Frank's memory in the shadow of our majestic Capitol Dome. 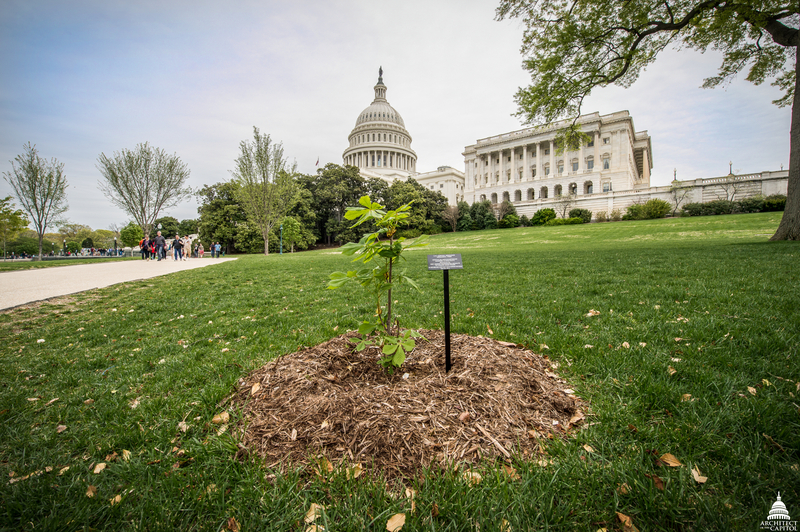 While the tree may be small in stature today, years from now visitors to the Capitol will find shade and solace in its mighty branches. What an amazing legacy for a young woman whose story has touched us all." 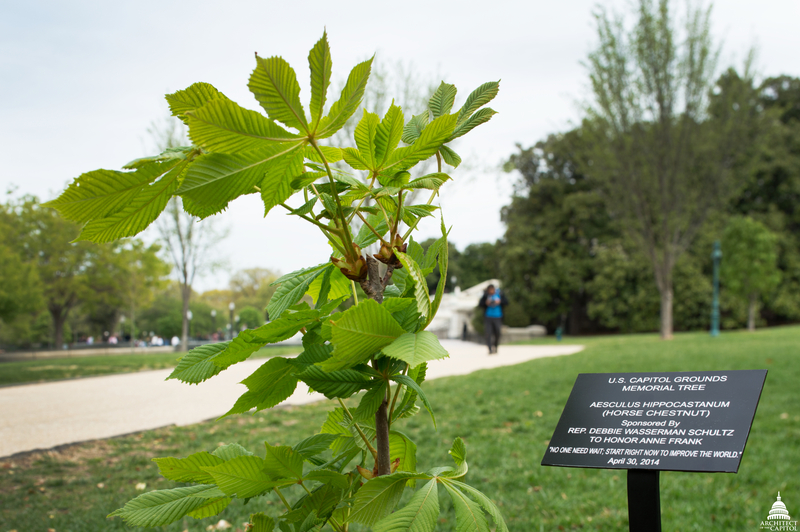 This tree was grown from a sapling of the original horse chestnut tree that grew behind the Anne Frank residence in Amsterdam. This type of tree is widely used ornamentally in its native Europe because of its large showy flowers. It was formerly a popular large tree in the eastern United States, but is not as popular today as it requires a large property and it is afflicted with a leaf blotch disease that amounts to a significant cosmetic problem.